Mr. Muddassar Hamid Patel is an Automotive engineer and a law graduate specializing in road traffic accident investigation and data analytics. For JP Research India, Mr. Patel takes care of data analysis for various internal and external projects. He undertakes various tasks to improve the data quality which includes analysis, training, database improvements etc. He oversees activities of data collections centers. In addition, Mr. Patel has overseen crash reconstructions for various JP Research India projects and provided training in crash investigation and analysis to transport and police officials at various locations. Currently a Data Analyst and Quality Manager on the wide-reaching Road Accident Sampling System – India (RASSI) project (in addition to others), Mr. Patel liaisons with other members of this international consortium of vehicle manufacturers concerning JP Research India’s on-the-ground role for RASSI. 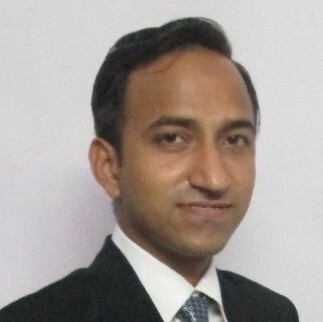 He has made improvements to the RASSI coding manual, data quality and the crash investigation efforts, and has presented research results in various venues, including a 2012 international conference on scientific crash investigation and data collection influencing road safety policy, held in Coimbatore, India. He was also the lead author of the paper ‘A new methodology for determining accident and injury contributing factors, and its application to road accidents on the Mumbai–Pune Expressway’, which he presented at ESAR 2014 in Hannover, Germany. While at university, Mr. Patel participated in Formula Student Germany and Formula Student Austria in 2011, and he worked as student volunteer for ‘A World in Motion’ (AWIM) MUMBAI on behalf of the M. H. Saboo Siddik College of Engineering.